We're in week two of our SpoonChallenge: Creating a Fabric Collection with our friend and fabric designer Bonnie Christine. As a part of this series, we're focusing our Bootcamp content on design tips and tools. Today we share our favorite design tools anyone can use to create beautiful textile designs! While professional designers frequently use Photoshop or Illustrator to whip up designs, Spoonflower is not just for pros! Here is a handful of our free favorite tools and apps. Pixlr is perfect for photo-editing and sprucing up your pictures. Pixlr is available for both Android and Apple devices and can also be used on a desktop computer! There a few different free versions, but the “Free Photo Editor” has the most tools. Many overlays and effects to choose from. You can even add text! Create collages or blend photos together. You can’t enlarge an existing image, but you can decrease the canvas size. COLOURlovers helps you create your own design, or you can explore templates for inspiration. Currently this tools is only accessible via a web application – no mobile app available yet! Your design is always seamless! No more bad repeat issues. You can enter in specific hex codes from your trusty Spoonflower color map. Upload your design right into your Spoonflower account, directly from their website! Just enter in the inch dimensions you need your design to be. PicMonkey can edit your photos, or you can use their clipart and text to make something brand new. Right now, this tool is only accessible through a web application — no mobile app available yet! Start with a blank canvas and add text, effects and borders, or upload your own pictures and customize them. You can adjust the canvas size up to 18 x 21 inches. Collage maker with flexible layouts. 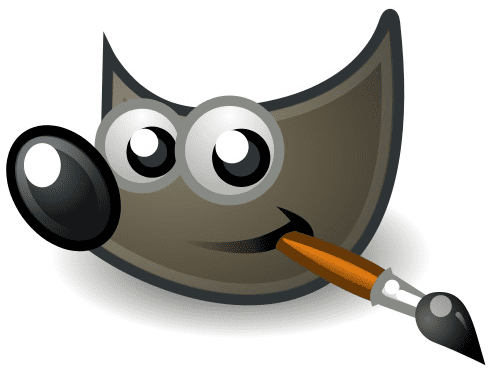 GIMP is a flexible web application that can be used for a variety of design projects. This tool is very similar to Photoshop! Create designs at a high resolution – great for large-scale layouts, and photography. Perfect for both freehand drawing, painting and photo-editing. Retouch and enhance photos with its sophisticated toolset. Click here for a YouTube channel with lots of how-to textile design videos! This is just a small sampling of design tools we've used ourselves, but a quick web search will bring up many more design program tutorials and videos. Please share your favorite tools with us in the comments below. Happy creating! As a part of our SpoonChallenge: Creating a Fabric Collection, we'll be gearing our Bootcamp posts over the next few weeks towards creating designs and uploading to the Spoonflower site. First up, a few tips on understanding fabric size and the Spoonflower fabric preview. Making sure your image is just the right size can be a little daunting when using Spoonflower. Between DPI, pixels, inches, lengths, widths and that mysterious number, “150”, there’s a lot to keep track of! Today’s Bootcamp post will show you how to determine how many pixels are in your image, and how big we can print it at Spoonflower. You can always make your image smaller once you’ve uploaded it, but there’s a quick trick for figuring out the largest size we can print any digital file. Don’t worry! It seems like a lot of math, but once you get the hang of it, it’s easy to figure out.